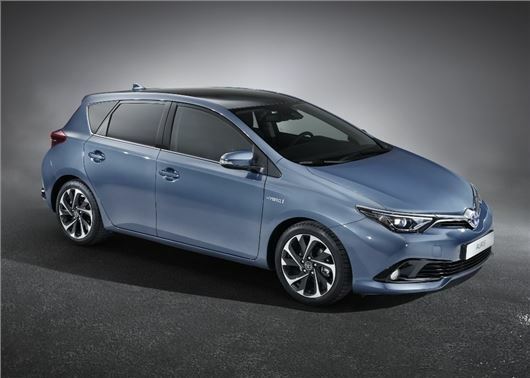 Toyota has announced a raft of updates for the Auris. The British-built hatchback gets a new exterior, revised safety tech and uprated engines. The new Auris will make its debut at the Geneva Motor Show, ahead of its UK launch in the summer. Details on the engine range are sketchy at present, but Toyota tell us the hybrid will remain at the heart of the Auris range and feature notable improvements to economy and emissions. There will also be new and improved petrol and diesel engines, although (again) details are lacking in regards to what the outputs and economy will be. Toyota has released pictures of a new cabin though, with new seats, materials and safety kit. Industry insiders tell us the Auris will get a stack of automated technology, with emergency braking and radar enabled cruise control available. Navigation, extra airbags and new instrument clusters will also be added. The Auris gets a new exterior too, with revised headlights, bumpers and a new longer bonnet. The rear of the car will also get some revisions, with new light clusters and bumpers.